I’ve decided to start out on sewing 3 years ago, and I still remember the nervousness that I’ve been through before. While it’s easy to buy a sewing machine, I think it’s harder to actually take it out and put it to use for the first time. I had spent much time on selecting the best sewing machine that would fit my needs. As you may see on my review later on. 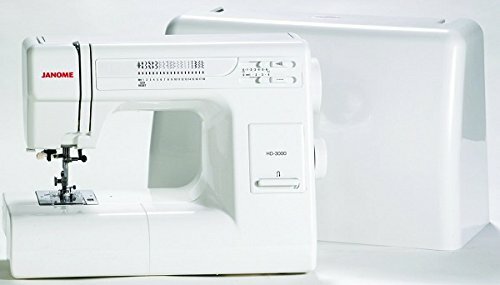 I almost lost hope in finding a sewing machine for home use that is relatively portable, but ultimately has to be durable and sturdy. I am in love with denim, and I was very devastated when I researched for sewing machines before, as most sewing machines for home use are not friendly to use for thick fabric. 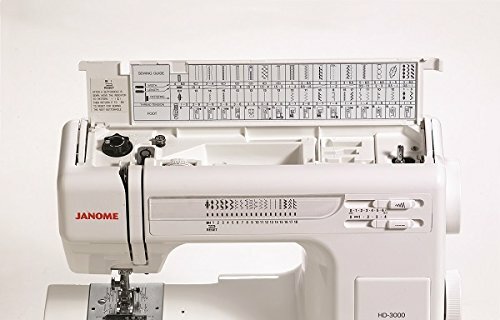 Luckily, I veered away from the modern computerized sewing machines and was led to Janome HD3000. I don’t know for most people now, but I didn’t care much about pre-installed stitches and the like. I was more concerned on the sewing machine’s ability to stitch even the most stubborn and thickest types of cloth. This way, I am assured that my options for home improvement and other projects are relatively wide and varied. Let me share with you first the highlights and the key features of this sewing machine. After which, if you are interested in continuing to read, I had shared my thoughts on this machine based on my experience. 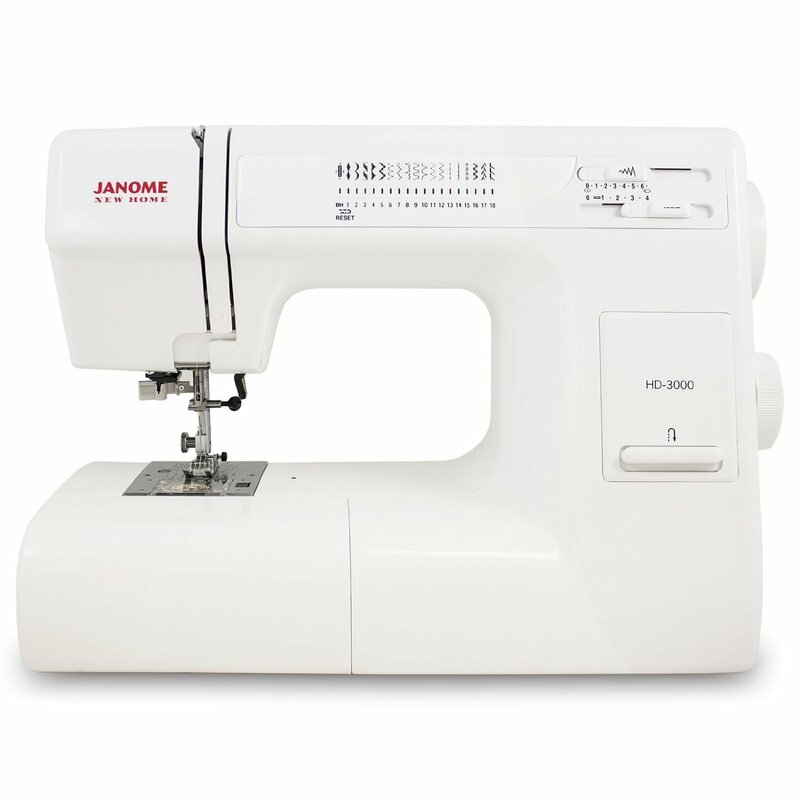 The Janome HD 3000 is a sewing machine that is designed to withstand heavy duty work. It is perfect for the sewing enthusiast that is looking for a machine that could take on the challenge of any material or project. It is made of a sturdy aluminum body, equipped with 18 stitches, a one-step buttonhole, adjustable blind hem foot, a specialized bobbin, rolled hem food, sliding buttonhole foot, and a zig-zag foot. Few of its best features are highlighted on its 7-piece feed dog, 6.5mm maximum width stitch, and heavy duty frame. 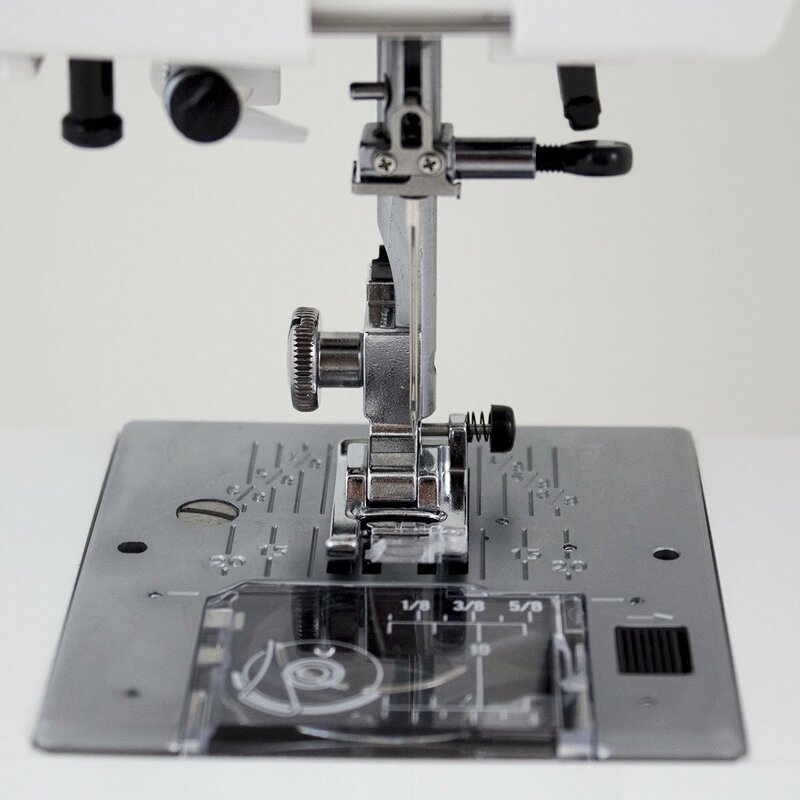 This machine has a top loading full rotary specialized bobbin and has manual thread tension control and an easy reverse button. Bobbin is easily winded with auto-DeClutch, and stitches are selected through dials. ​Foot pressure is also adjustable, and the 18 pre-installed stitches create a wide range of possibilities for projects. This sewing machine is not computerized, but that does not make it any less compared to other sewing machines. Its main selling point is its sturdiness and ease of use. This is a companion that could last for many years, and would not back out on any project presented to it. This sewing machine weighs 18.7 lbs at 7.2 x 116 x 11.3 in. It could be heavy for some, but is relatively portable. I could go on and on why I love this sewing machine very much. I am really for sturdiness and longevity and Janome HD3000 does not fail in providing just that. Although it is manual and not computerized, it serves its purpose very well. In a span of 3 years, I had almost put every type of fabric possible to this machine, and not once has it given up. It also isn’t hard on the budget. It’s like it came straight from a dream. I had been looking for a machine that could deal with denim, and other types of thick fabric. I had been disappointed by most of my research on sewing machines for home use, until I met this. I like that it is simple and mechanical. I don’t need to select through tens or even hundreds of stitches. I can’t imagine switching a dial for too many times just for a stitch. I just want a companion, just like what HD3000 is to me now, in creating simple home improvement projects, and clothes repair and adjustments. I even tries making my own pajamas at home use with this one. Some claim that this machine is too noisy for them. I’m not sure if I’m less sensitive or I just really don’t care a lot about the noise. I don’t think this is a noisy device. It’s worth considering and seeing it for yourself though, because I’ve seen a lot of people consider it noisy.